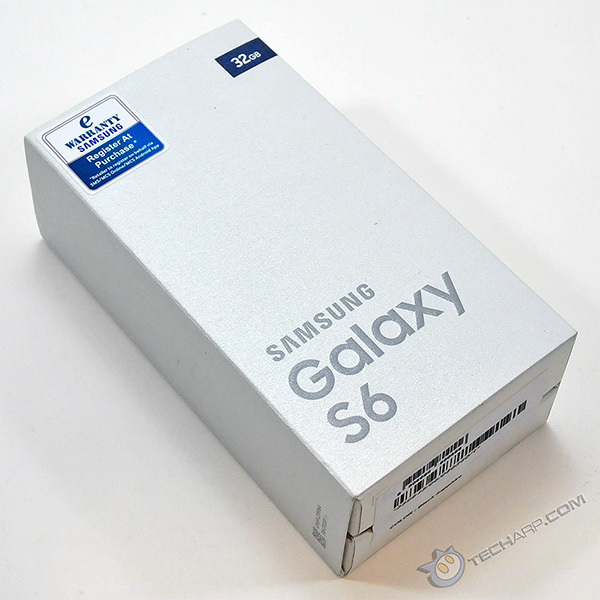 During the local launch of the Samsung Galaxy S6 and the Samsung Galaxy S6 Edge, we were fortunate to snag one of each. We are in the midst of testing them and will be posting our reviews soon. 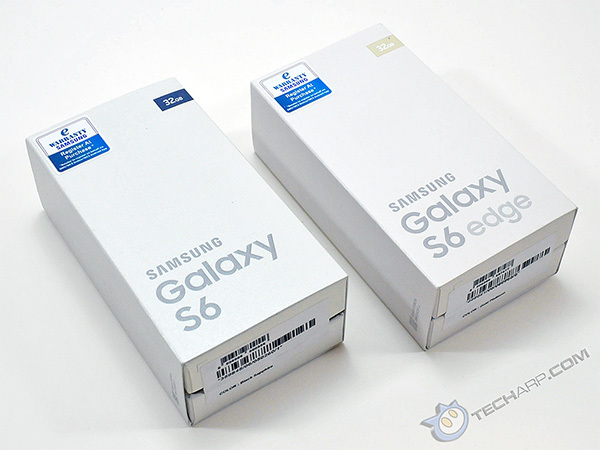 In the meantime, enjoy our unboxing of both the Samsung Galaxy S6 and the Samsung Galaxy S6 Edge smartphones! 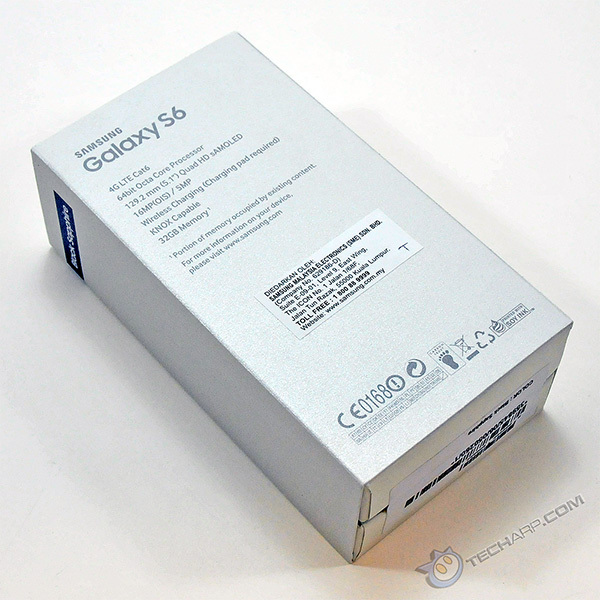 The Samsung Galaxy S6 came in a classy white retail box with the key features printed on the back. 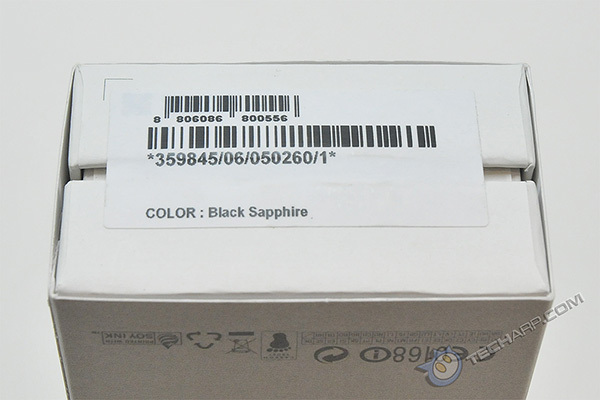 The Galaxy S6 comes in four different colours - White Pearl, Black Sapphire, Gold Platinum and Blue Topaz; as well as three storage capacity options - 32 GB, 64 GB and 128 GB. 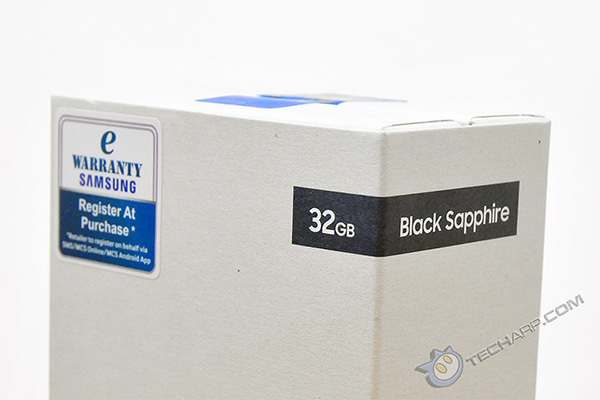 The colour and storage capacity are printed at the top of the box's sleeve. To avoid mistakes (because the sleeves can be easily interchanged), the colour is printed onto a label at the bottom of the actual box.